Christine has over 25 years’ business experience. She has managed teams of up to 50 people, as well as managing change programmes and providing consultancy to senior management. Her expertise is in career transition coaching, but she is also skilled at facilitating development training and implementing projects. Her passion is helping people and organisations succeed. Christine’s background is primarily in financial services, where she worked for over 25 years. She is an Associate of the Chartered Insurance Institute and holds a Post Graduate Diploma in Business & Financial Management from Cranfield University. She has held a variety of senior positions from IT Programme Management to heading up Zurich UK’s Customer Relations function, but her focus has always been on developing people and delivery results. She was champion and mentor for Zurich’s UK Talent Pool, instrumental in shaping and delivering programme as well as being a part of the Senior Management Assessment Committee for a company-wide recognition scheme for outstanding performance and contribution. Christine how works extensively in the Career Transition coaching arena, as well as providing change management training and consultancy. 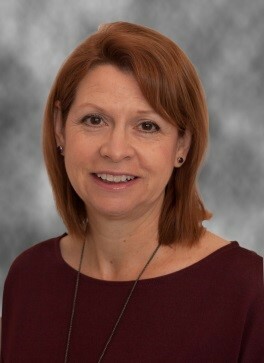 She is an accredited ILM Executive Coach and an Associate Member of the Association for Coaching. In her spare time Christine enjoys sport and cooking, especially Thai. Having been a national level biathlete/triathlete in her youth, she still enjoys swimming and cycling. She is married with two daughters and lives in Hampshire.